NetEnt is one of the most popular gambling games developer offering you nice graphics, good payouts, and popular games like slots, roulette, blackjack, etc. NetEnt is one of the most popular developers on the online gambling market. 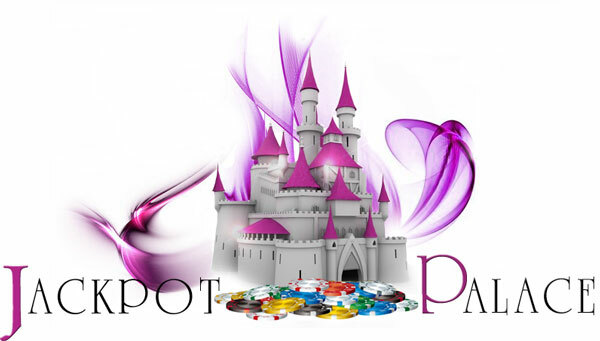 Their platform has a lot of advantages which is popular amongst gamblers world wide. All the games on offer at netent casinos consist of high quality graphics, amazing gameplay and appealing payouts. NetEnt values their players and currently have over 110 games on offer for their entertainment, such as Slots, Blackjack, Roulette, Baccarat, High-Low, Video Poker, Bingo, Lotteries, and even Special Mini-Games. Blackjack is one of the most popular card games in the world. There are three versions of Blackjack, Blackjack Classic, Blackjack Pro and Single Deck Blackjack. The first version consists of five hands with the classic rules. The second version offers three hands with side bets, and a special Double Jack side bet which awards up to 100x the bet a player staked. The Single Deck version has only one hand with the classic rules. NetEnt online Casinos now gives players the option to enjoy it all from the comfort of their own home. NetEnt offers players a variety of popular slot games such as Multiline Slots, Classic Slots and Progressive Slots. The majority of NetEnt slot games are online slots with 5 reels. This developer releases new games regularly and they all contain high quality graphics and exciting Bonus Features. Video Poker is another popular online card game amongst millions of gamblers. NetEnt offers players six versions of this game such as All American, Classic Deuces Wild, Classic Jacks or Better, Deuces Wild, Jacks or Better and Joker Wild. All these games are equally enjoyed by gamblers, and if you are anew player it is advised to begin with the standard version of Jacks or Better first. When gamblers play online Roulette they will get the feeling they are playing in a real land-based casino in Vegas. There are two popular versions of online roulette, namely the French Roulette Pro and Roulette Pro. Their rules differ slightly but both versions guarantee players the same enjoyment. Below is Our recommended NetEnt Online Casinos that accept South African players and offer Rand Deposit Options. One of the Newer Casinos in the South African market is Luckland who offer NetEnt and Betsoft Games for players in Rands. They also offer Microgaming Games, but unfortunately these games are not available to SA Players. The NetEnt suite of games are very entertaining packed with unique bonus features. Originally setup to attract players from Australia ( which are now no longer accepted ) - G'Day Casino soon realized that South African Gamblers were showing a lot of interest in their casino as they have a good selection of games that many South Africans had never played before. Namely NetEnt, Betsoft, NextGen and many others that were previously unavailable to SA Players. It was therefore logical for G'Day Casino to start catering for their South African players by adding Rand Currency to their Banking system, and this is exactly what they did. The sister casino to G'Day Casino - 21Prive also experienced a surge in South African players when they first opened their doors, so decided to make it easier for SA players to play by adding Rand to their currency options. A huge selection of netEnt Games plus other software providers are available, so we can assure you that you won't get bored! New Players can claim an Unlimited 1st deposit bonus. Simply put - we highly recommend 21Prive if you are looking for a good honest casino.